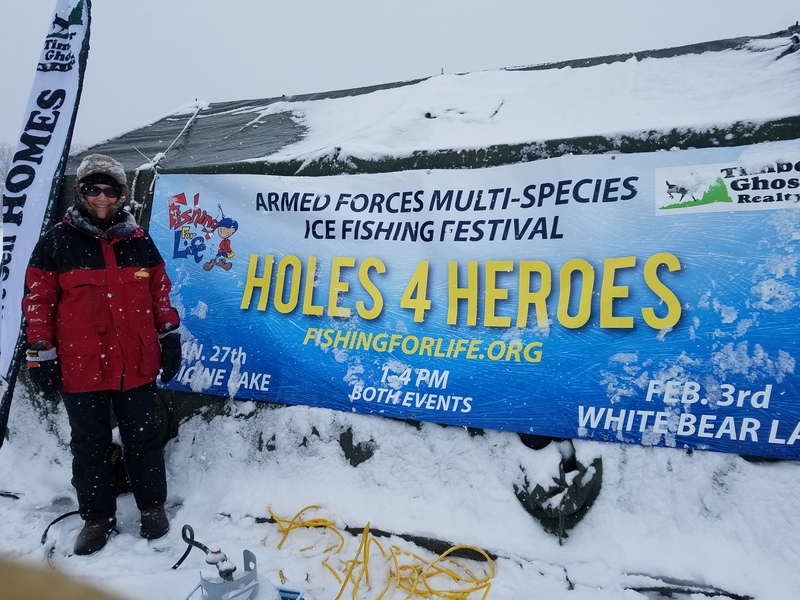 A snowy Holes 4 Heroes season is now in the history books. 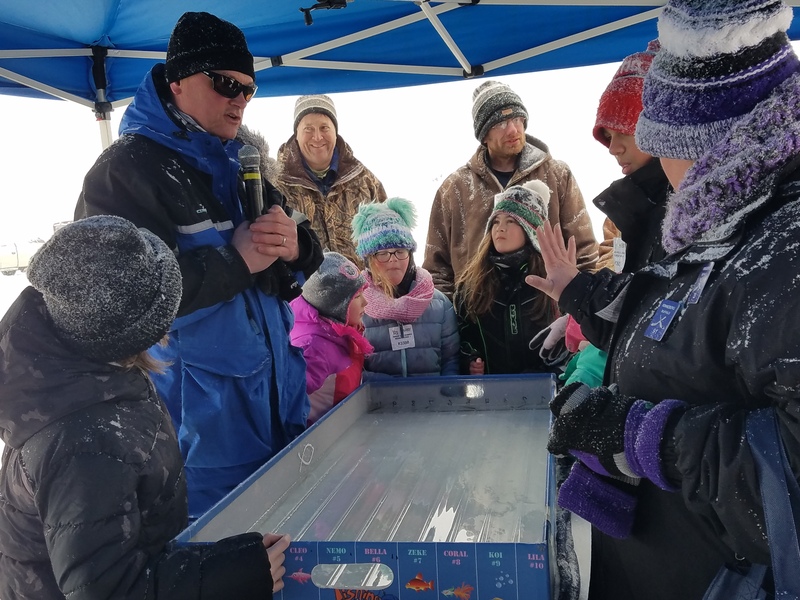 Embrace winter in Minnesota on top of White Bear Lake. And say thanks to US military families who sacrifice so much so we can have so much. Here are a few pictures, followed by video highlights. Thanks to Karen Pavlicin-Fragnito for lots of pictures. And thanks to Century Link for bringing 1 gb Internet service on top of the ice. 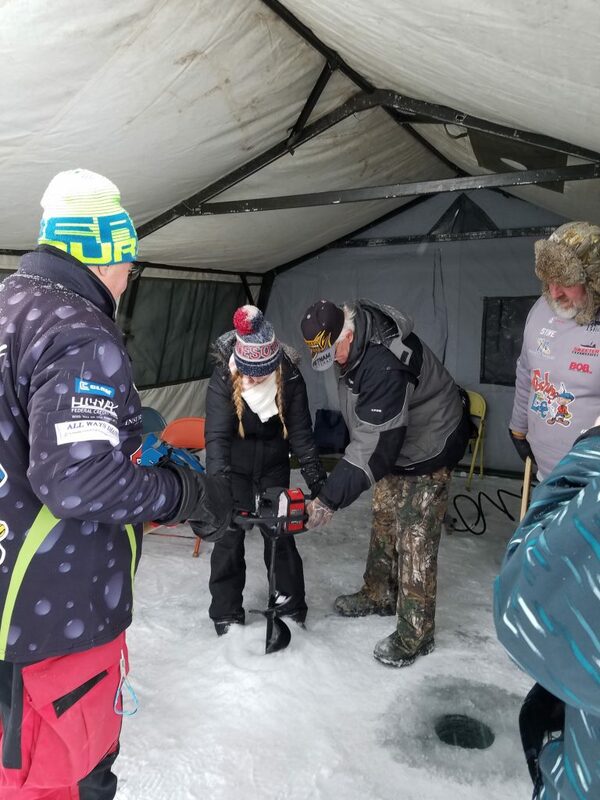 Holes 4 Heroes 2018 White Bear Lake – nerve center waiting for power. Troubleshooting a leaky generator at Holes 4 Heroes 2018 White Bear Lake. 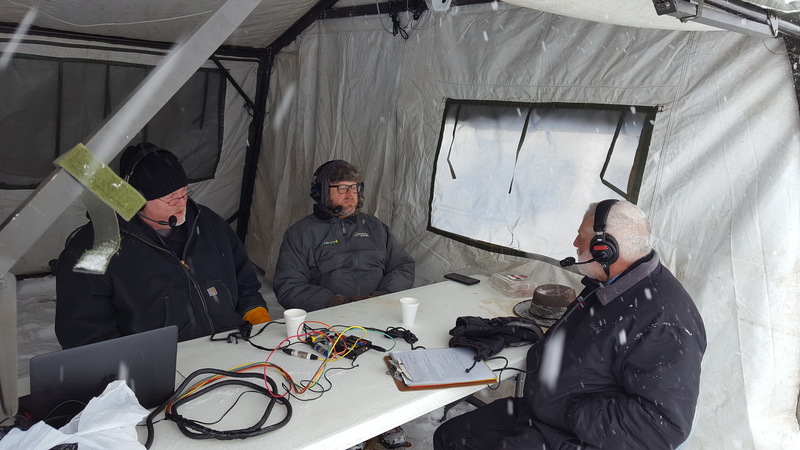 Mike “Cold Front” Kurre on the radio on a snowy day at Holes 4 Heroes 2018 White Bear Lake. 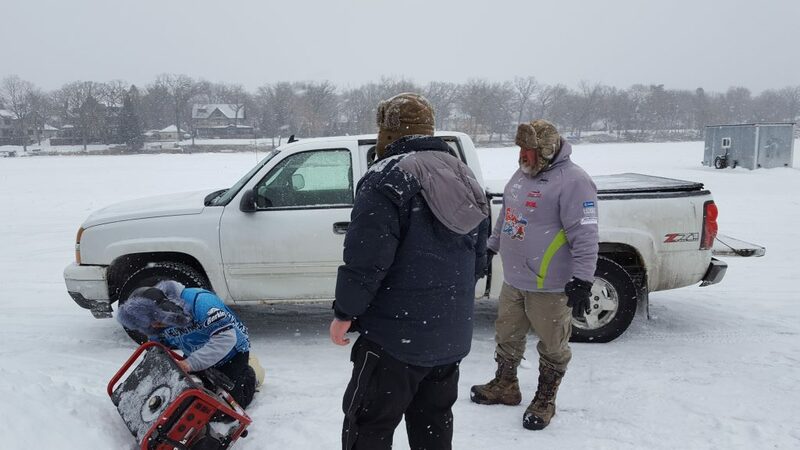 Drilling a fishing hole at the Hole of Honor, setting up for Holes 4 Heroes 2018 White Bear Lake. Setup and testing on a cold Friday the day before the event. Thanks to Century Link and creativity for bringing 1 gb fiber Internet service out onto the ice. 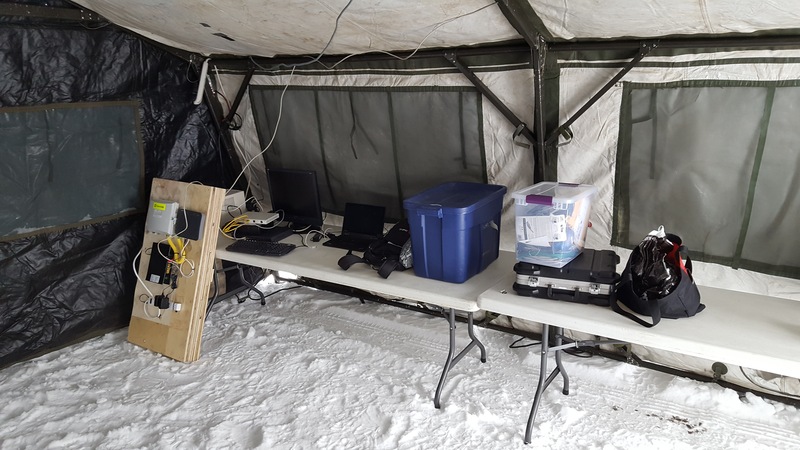 And for the warm tent on a subzero Friday testing day.